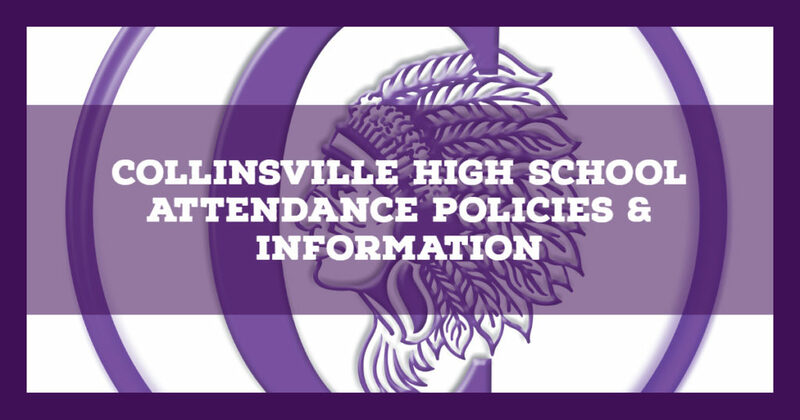 Collinsville Community Unit School District #10 parents and guardians can conveniently report a student absence using your Skyward Family Access account. While you can choose to call your child’s school to report an absence, using Skyward Family Access gives you the ability to report or request an absence 24/7 using your computer or mobile device. Click here for instructions. Absences are marked “unexcused” until written documentation is presented to the Attendance Office. Excused absences (including those due to early dismissal or late arrival) MUST be documented by a medical provider’s note or letter from the court. Transportation issues are NOT excused absences. It is the responsibility of the parent to report the reason for the absence. All requests for reported absences, after the actual absence date(s) MUST be submitted in writing to the Attendance Officer within five days of the student’s return to school. Documentation may be hand delivered to the Attendance Office, faxed or emailed. All students who are absent for five or more consecutive days MUST provide written documentation from a health care provider for the absences to be considered excused/reported/documented. To review the complete CHS Attendance Policy, please refer to the Student Handbook. Students are expected to be punctual to all classes and instructional programs. Students who receive 15 tardies (cumulative) to ANY class during the course of an academic quarter will have their parking privileges revoked for the duration of the school year. Student who receive 10 tardies and/or unexcused absences (cumulative) to FIRST HOUR class during the course of an academic semester will have their parking privileges revoked for the duration of the school year. The student must have NO unexcused absences and NO discipline resulting in in-school suspension, out of school suspension or assignment to the STOP program during the school year. The student must have five (5) or fewer (cumulative) absences for the school year. If the student is absent the day before exams, he/she will be required to take the exams unless excused by an administrator before the absence. School sponsored or sanctioned activities, such a field trips, athletic events, approved college/career days, are exempt from and DO NOT count toward the five (5) day absence total. However, it is the responsibility of the student to inform the teacher of the activity and to make arrangements for the make-up work. Absences due to illness, surgery or attendance at a funeral DO count toward the five (5) day exam total. Students not enrolled in Collinsville High School for a FULL YEAR are required to take second semester final exams.